There was no time for a real photo shoot - so I just stopped my car and took this picture with my Android mobile phone. 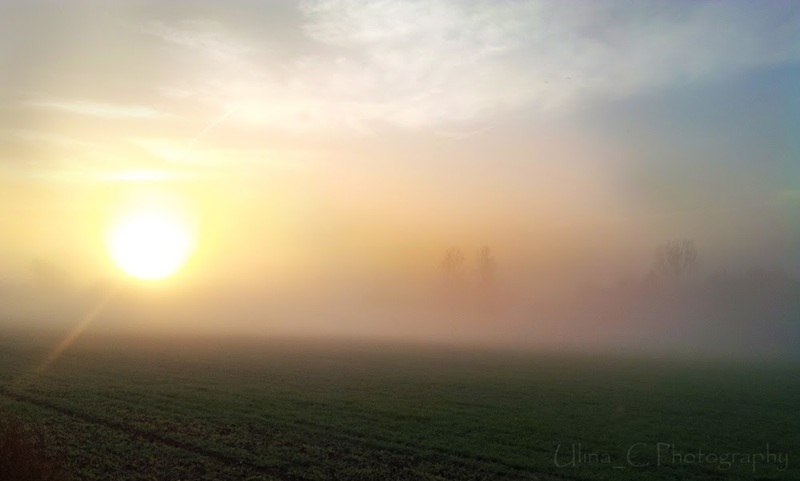 I love those misty mornings in autumn! And what a fabulous shot it is!! I'm so glad you joined us this week at Our Beautiful World ... Please share again and we would appreciate it if you could put a link back to OBW ... Have a great week! Great shot from your autumn morning, thanks for sharing at "OBW"